The US Dollar tends to be driven by relative economic growth. As the global reserve currency, when the rest of the world is strengthening, often at a faster pace than the US Economy, it is common for bonds to be issued in US Dollars and then converted to invest abroad driving the US Dollar lower. Another way to see this phenomenon in action is to look at junk bond yields. A falling yield in the US Junk Bond index tends to show a force behind US Dollar weakness whereas rising junk yields tend to favor repatriation and USD strength. Recently, the bid in junk bonds had been so intense that the spread between yields on investment-grade and junk-rated debt was the narrowest since 2007 showing a preference to chase yield over creditworthy borrowers. Again, this drive was sending bonds that were issued in USD abroad and done so by selling USD. Retail trader data shows 51.1% of traders are net-long with the ratio of traders long to short at 1.04 to 1. The number of traders net-long is 2.7% lower than yesterday and 40.9% higher from last week, while the number of traders net-short is 2.1% lower than yesterday and 16.6% lower from last week. We typically take a contrarian view to crowd sentiment, and the fact traders are net-long suggests EURUSD prices may continue to fall. Positioning is less net-long than yesterday but more net-long from last week. The march higher in US Yields has been doing much of the heavy lifting for the US Dollar. The question now is what will stop the ever-rising yields? The onslaught of supply at Treasury auctions and stable US economic data combined with rising commodities (namely, energy) seem to speak to an environment ripe for rising yields, and thus, a rising US Dollar. Traders are often quick to identify a theme and then identify winners and losers within the theme. There has been a shift since mid-April in favor of long USD positioning among short-term or leveraged investors in recent weeks, and questions remain as to whether real money buyers will also get behind US Dollar strength. Real Money has staying power and can help put in a higher floor behind a market. The increase in bullish USD positioning has come mostly against European currencies. EUR net longs have fallen $6bn ($23.4bn to $17.0bn) since April 20 release or on April 17 data ($0.8bn this week.) GBP net longs have decreased by $4bn ($0.3bn this week.) CHF net shorts have increased by $3bn ($0.5bn this week.) Meanwhile, AUD accounted for $0.9bn of this increase over the last month. Bearish AUD positioning increased by $0.5bn this week. Last Week's FOMC policy meeting saw interest rate expectations shift as markets priced in a fourth rate hike this year- near-term bullish for the USD. 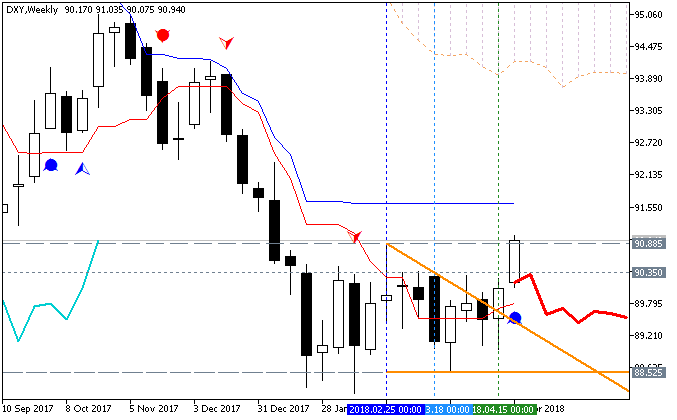 The Dollar Index posted an outside weekly reversal through confluence resistance with the rally stretching into the 200-week moving average, now at ~95. A newly identified ascending pitchfork formation extending off the 2017 and 2018 lows also has price testing the upper 50-line into the start of the week. The Dollar is testing near-term resistance here and while we could see some pullback in price, the broader focus is on a hold above the 93.89-94.20 pivot zone. A breach higher from here targets 96.04/35 backed by the median-line confluence just above the 97-handle. A break below last week&rsquo;s low targets the median-line of the newly added formation around ~92.90s with critical support / bullish invalidation steady at the yearly open / 52-week moving average at 92.28/45. From a trading standpoint, I&rsquo;ll favor fading weakness while above 93.90. 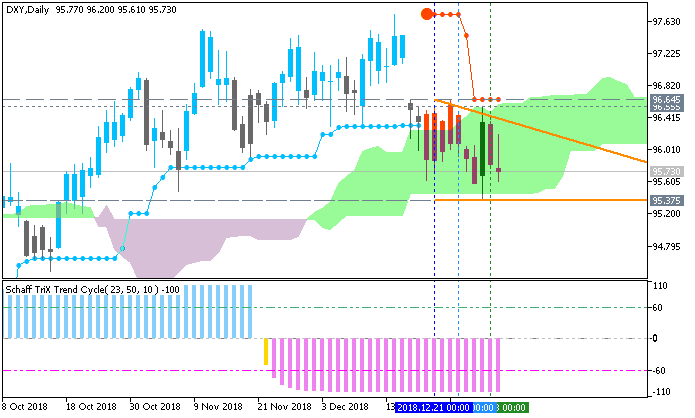 As the US Dollar basket yet again approaches the 95.00 handle, eyes are back on the familiar resistance, which has previously capped its rise. 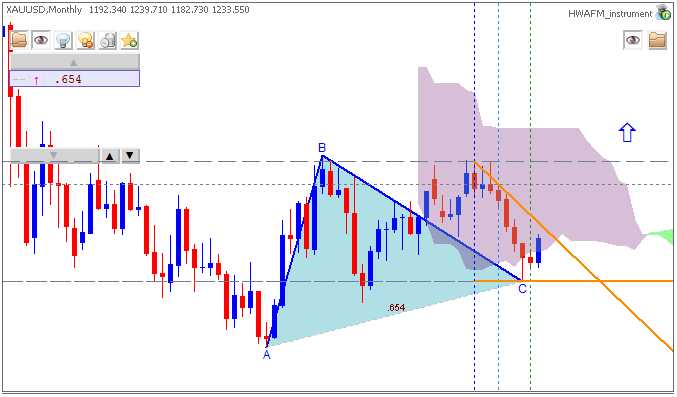 This is situated at 95.20, which had curbed further gains for the DXY on June 21st and 28th. The question is, will it hold again? 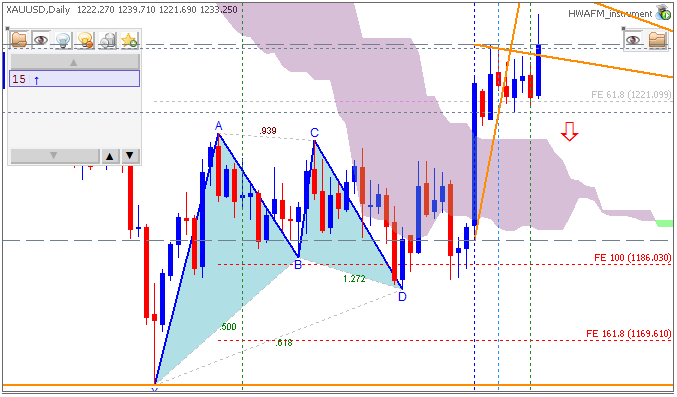 Trend signals suggest that there is scope for additional gains in the USD. 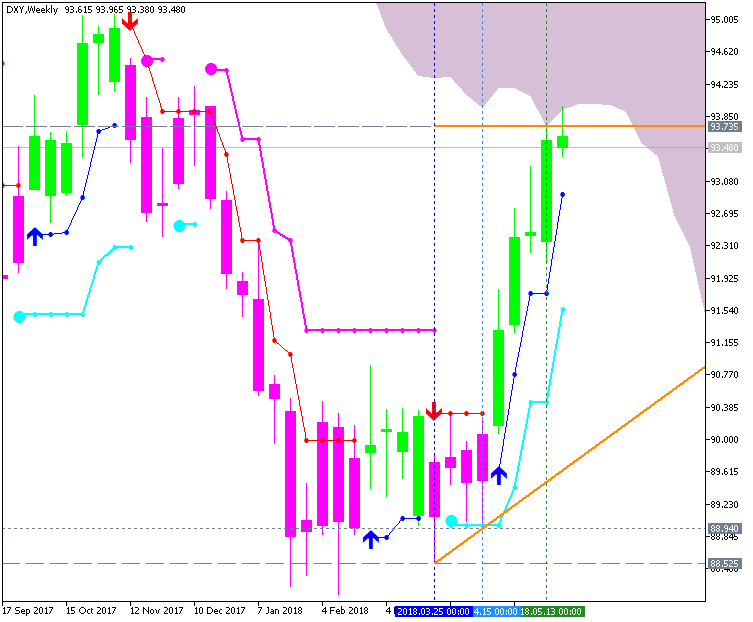 RSI indicators on a daily timeframe is just shy of moving into the overbought area, subsequently, signalling that a continued USD rise will likely be limited. Alongside this, momentum indicators have moved into positive territory, showing slightly positive signs, however, progress is needed. Short term resistance at the 94.76 level, which marks the 76.4% Fibonacci Retracement level of the 94.20-93.33 fall is holding up for now. However, a break above this could set the DXY on course for a retest of the June double top. The US Dollar is seeing its sharpest pullback after touching technical resistance mid-month at 97. The Dollar Index has pulled back by 2.4% despite hawkish talk from Fed members. The key question on the charts will be as to whether the next move higher in US Dollar will result in a lower-high that is followed by the next big breakdown. As a technically-driven FX trader, the most important development for me to watch is what happens on the immediate pull-back. 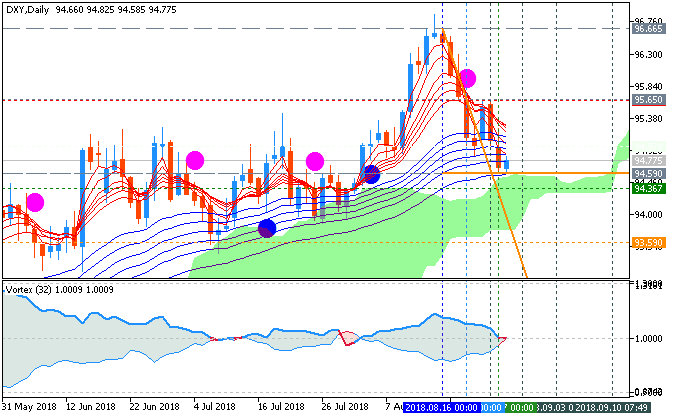 If we see a weak, three-waved pull-back higher that is limited to 95.30 before resuming lower, then we could see multiple weeks or more of US Dollar weakness that could lead to opportunities in beat-up currencies like the Australian Dollar despite improving fundamentals. Spot Gold: Retail trader data shows 83.7% of traders are net-long with the ratio of traders long to short at 5.15 to 1. The number of traders net-long is 5.8% higher than yesterday and 6.0% lower from last week, while the number of traders net-short is 15.7% lower than yesterday and 19.6% higher from last week. Gold has been on the offensive with the price breakout now testing BIG technical resistance after rallying more than 6.5% off the yearly lows. While the broader focus remains higher, the immediate advance looks vulnerable as price approaches this critical barrier. 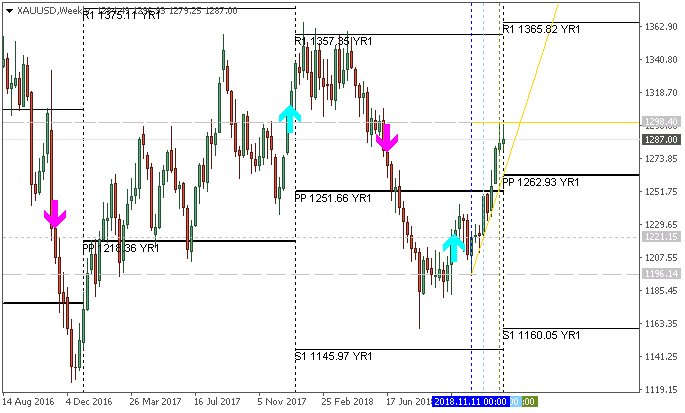 A closer look at price action shows gold continuing to trade within the confines of the ascending pitchfork formation. A multi-day consolidation structure looks to have broken today- but the advance is running into some key technical targets on the topside. The immediate focus is on a reaction at this key resistance barrier. Long positions are 0.5% higher than yesterday and 5.5% lower from last week. Short positions are 2.1% higher than yesterday and 4.7% higher from last week. We typically take a contrarian view to crowd sentiment, and the fact traders are net-long suggests Spot Gold prices may continue to fall. Yet traders are less net-long than yesterday and compared with last week. Recent changes in sentiment warn that the current Spot Gold price trend may soon reverse higher despite the fact traders remain net-long. We have started the new trading year in earnest, but the Dollar continues to hold to the range it maintained through the final two months of 2018. That is unlikely to be the case for much longer however. The rest rate of volatility has increased across the entire financial system. We have seen volatility in US equities in particular surge both in price-based measures (like the ATR) as well as implied figures (derived from options). It is possible for a single asset or currency to diverge from the norm for a while; but that is not a condition that can persist indefinitely. 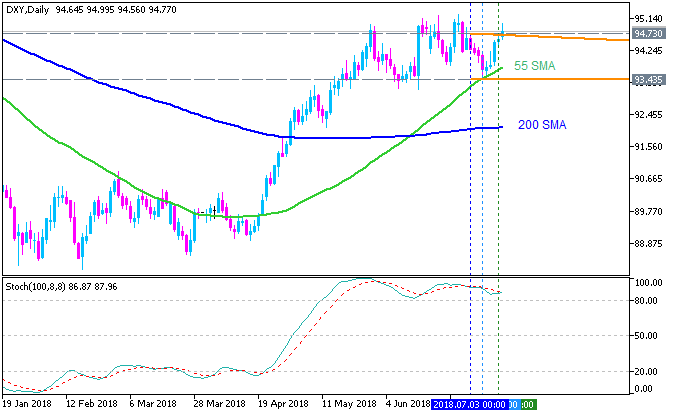 While it may not have to happen in the week ahead, the Greenback is very likely to break from its range between 97.70 and 95.80 soon. 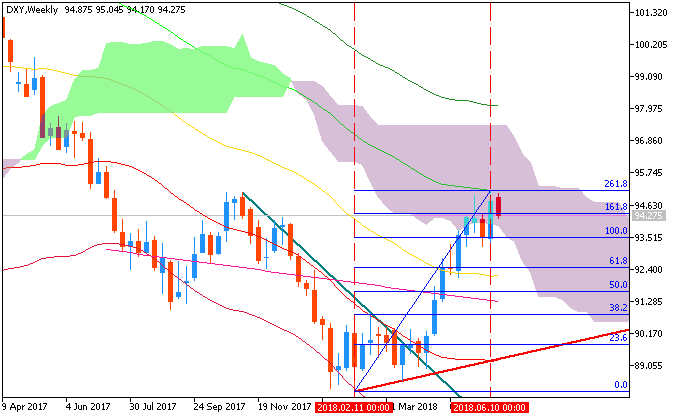 We can see the levels of activity are starting to seriously threaten the quiet normalcy when we consider the DXY Dollar Index's technical range and its underlying activity. Below, we have the 20-day average true range (a good measure of activity) in red and the 50-day range as a percentage of the underlying currency's price. This looks like a highly pressurized breakout risk. 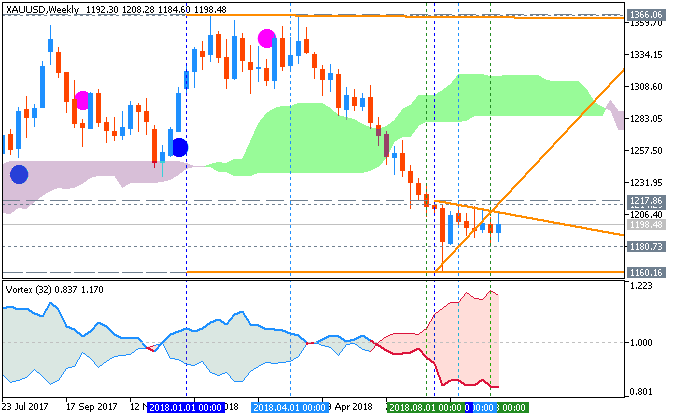 The gold price advance has lost stream just ahead of key resistance on the fourth consecutive weekly gain. Look for initial support along the 52-week moving average, currently at ~1269 - weakness beyond this threshold would risk a more substantial correction towards the August trendline. Broader bullish invalidation remains at 1236 where the 200-week moving average and December 2017 low converge on channel support.